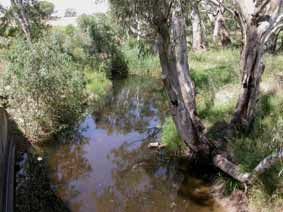 Ecology: Instream habitat: Corbiculidae species inhabit both fresh and estuarine waters. Batissa occurs in coastal streams whereas Corbicula and Polymesoda occur in inland rivers and streams. Corbicula is found, often in large numbers, living in sand, in shallow, flowing rivers. They can become a pest species in water reticulation systems, where they thrive and block pipes. 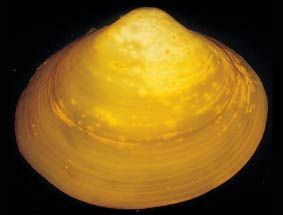 Feeding ecology: Bivalvia species are filter feeders that feed by leaving the hind portion of the shell exposed to the water column, to allow a pair of siphons to pump water into the shell where food is absorbed and then wastes expelled. They are not selective, feeding opportunistically on unicellular algae and plant detritus suspended in the water. Bivalvia can play a significant role in local food webs by increasing the flux of organic and inorganic matter to riverbeds, which in turn influences macroinvertebrate assemblages. 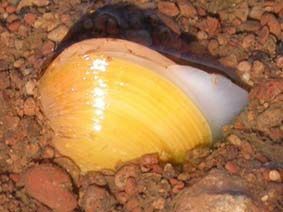 Habit: These mussels burrow into the soft river sediments. Life history: Corbiculidae species have a high reproductive capacity. Young glochidia, at the same developmental stage, are present in the marsupia during the warmer months of the year from October to May. Initiation of spawning is typically from late September to early October, coinciding with an increase in river temperature above approximately 18�C, with the end of spawning and cessation of brooding coinciding with the decrease in river temperature below approximately 20�C. Corbicula australis is an hermaphroditic brooder, capable of self fertilization.